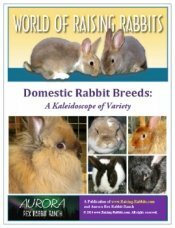 Get the history, description, standards, photos of the English Lop rabbit breed. Is this rabbit breed with huge lopped ears right for you? This is a very large breed with the distinctively gigantic lopped ears. The breed as we know it originated in England as the name implies. Eng. Lops are an ancient breed, most likely predating 1600 in either Patagonia or China. Carvings of lop-eared rabbits in China were made as early as the 1500’s. Others have postulated that rabbits with lopped ears were from either Algiers or Madagascar, in Africa. They are the rabbit breed that singlehandedly started the whole fancy-rabbit-exhibition thing. Local Lop Clubs sponsored competitions that occurred from pub to pub in the early 1840's. 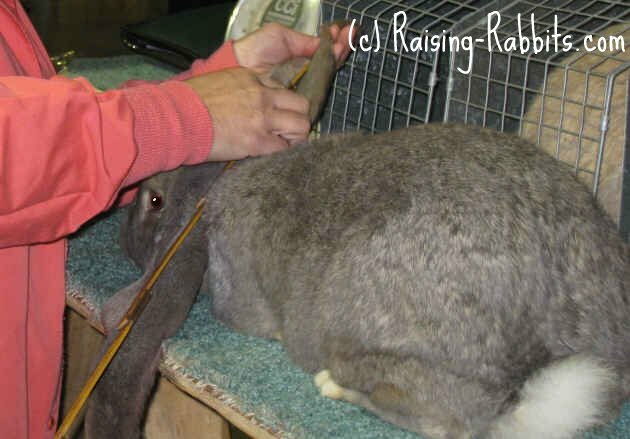 Lops were judged on three factors alone: length of ears, width of ears, and overall weight of the rabbit, with heavier being better. The National Lop Club of England was formed and functioning by the early 1850’s, about the same time as Eng. Lops were being exported to the USA. By the 1900’s, it was not uncommon to see an ear span of 26 inches in this breed. English Lops nearly went extinct in the 1940’s on both sides of the pond. One of the main reasons for the decline was a lack of attention to the whole rabbit. They had heavy bodies and long ears, but behind the ears, the rabbit had become a mess. Miss Meg Brown of Scotland had acquired some sorry Eng. Lops. Researching their ancestry, she realized that the French Lop had resulted from crosses of Eng. Lops. Crossing a French Lop back into her Eng. Lops did wonders for their bodies. Other UK breeders followed her lead, and by the 1960s the breed was well into recovery. English Lops arrived in the USA in the mid-1850's. The breed's popularity dropped after 1900 due to sharp competition from other newly imported rabbit breeds. But after Ms. Brown and others in the UK began to breathe new life into the breed through the 1950’s and 1960’s, interest in the USA also picked up. The ARBA chartered the Lop Rabbit Club of America in 1971, which now supports both English and French Lops. Today, some excellent Eng. Lops can be found around the country and in respectable numbers. The Eng. Lop is a very large rabbit breed with a semi-arched body type, also called a mandolin type. The standard specifies no maximum weight for an adult rabbit. 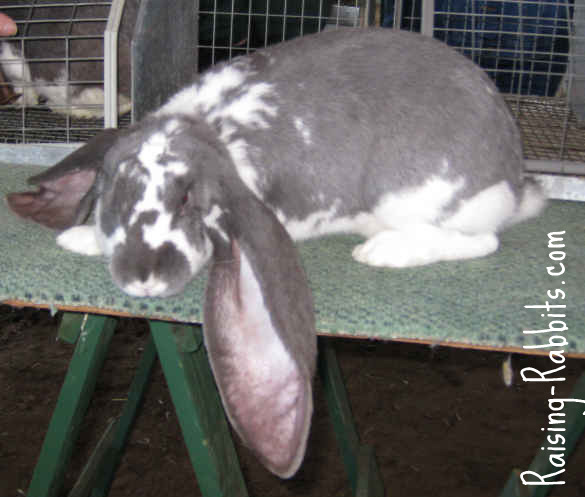 The distinctive for this rabbit breed is the prodigious length of its ears. They should span at least 21 inches when measured from the tip of one ear to the tip of the other one. The ears' width should be in proportion to their length. The breed can be found in many colors in these categories: Agouti, broken, self, shaded, ticked, wide band.